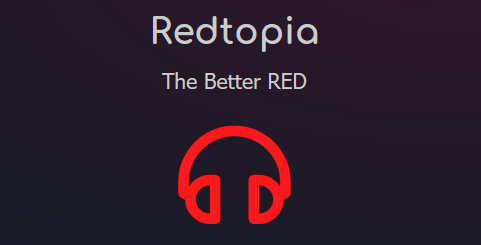 Redtopia is the sister site of Blutopia, focusing purely on Music, the tracker does have FLAC, MP3 and several other allowed formats, the tracker has opened it's doors on the 20th of August 2018 and hours from opening their doors, the same exceptional staff and members have been uploading content, on the time of writing, hours from opening their doors, there has been already been an amount of 1.15TB of uploads. Like Blutopia, most, if not all, torrents are seeded by seedboxes. As per their rules, once a download has been completed, the torrent needs to be seeded for 7 days. As this is a brand new tracker, the invite system has been closed at the time of this review writing. 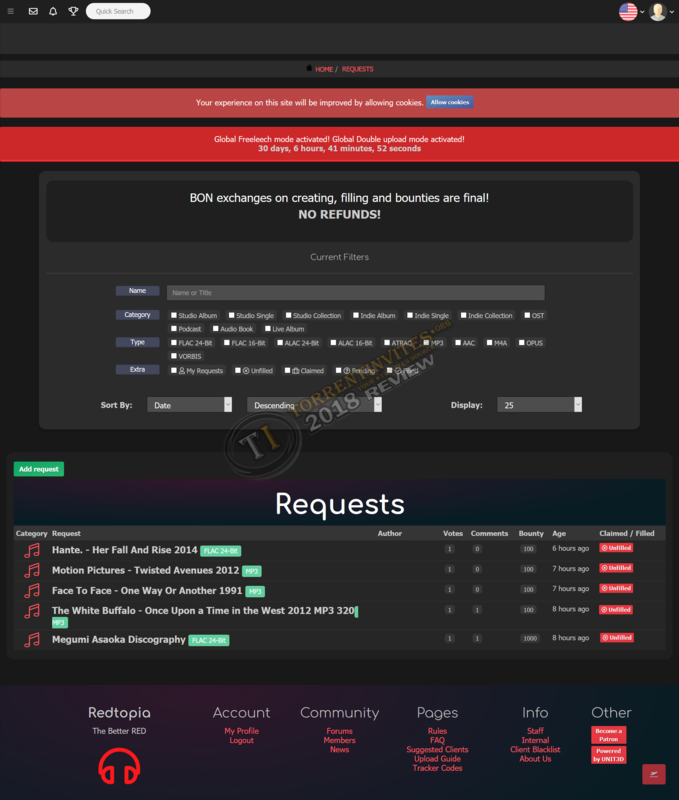 Site stats will be shown in the post below. 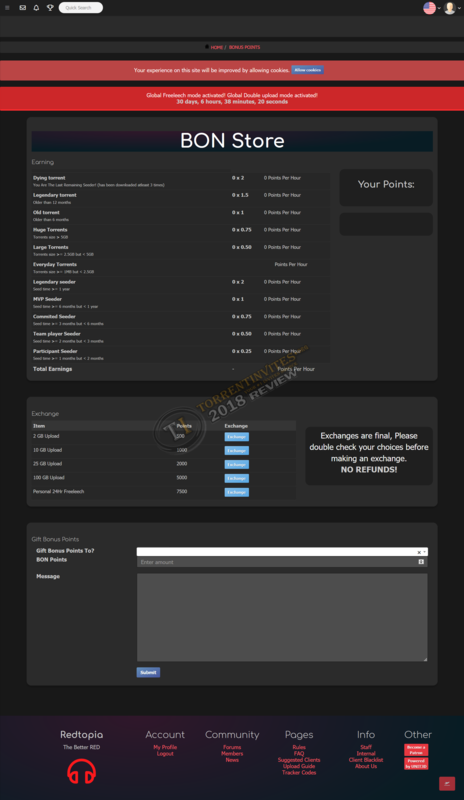 To add also, this is one of the very few MUSIC trackers that you gain bonus points on to assist with ratio buy etc. - I have great hopes for this tracker! TheTrader, RickC1337, lliz and 16 others like this. This tracker is branded as the better RED if anyone is curious. Lilith, Evergarden and TheTrader like this. They are different trackers ran by different people.. redtopia is the sister site of blutopia and I’m pretty sure signup is currently only open to blutopia members. WallE and Yokel like this. Really enjoying this tracker, amazing replacement for Apollo. Its good with free leech right now.